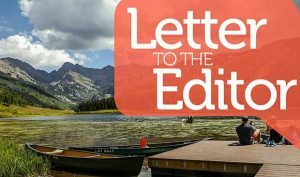 Editor’s note: A copy of this letter was sent to White River National Forest Supervisor Scott Fitzwilliams. 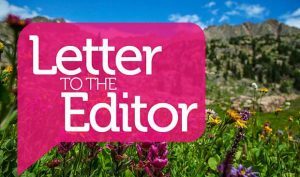 Mr. Fitzwilliams: I am writing regarding the proposed action that include road improvements on NFSR 774 and NFSR 780 as it relates to the proposed Berlaimont Estates inholding and residential development. I would strongly request that you recommend Alternative 1 (No Action Alternative) as laid out in the Draft EIS. I have been using this area as a biker, hiker and hunter for more than 35 years. I have seen, firsthand, the effect of our increased population density on the wildlife in this area. It would be not only irresponsible, but appalling for the U.S. Forest Service to grant permission to pave a road through this area. While my anecdotal observations may not qualify for input on your decision, certainly the quantifiable evidence of numerous reviews by Colorado Parks & Wildlife would reinforce what I have experienced. According to Colorado Parks & Wildlife Officer Bill Andree, deer and elk herds in this region have declined by as much as 80 percent in the last 20 years. Their own studies attribute most of the decline to habitat encroachment and increased levels of development, recreation and roads. These observations have been echoed by numerous wildlife experts, including former career wildlife officer Bill Heicher, who served this area for decades, observing firsthand, the impacts of development across critical wildlife habitat along the flanks of Red & White Mountain. This proposed action would include over five miles (over four on public lands) of paved road, with a county-required platform width of 26 feet, plus drainage of three feet on both sides. I believe the impact of such a road would have devastating effects upon the characteristic of these public lands and irreversibly impact the wildlife population that still frequents this area. From a recreational standpoint, this area is frequented by a large number of people for activities ranging from running to biking to hunting. Ready access already provides these people the ability to safely enjoy Forest Service public lands relatively unhindered by the traffic and crowds, and safety issues that would certainly be brought on by a paved road of this scope. While ownership of an inholding does guarantee reasonable access, it does not necessarily promise paved access in order to improve the possibility of easier sales of one’s private, gated development. 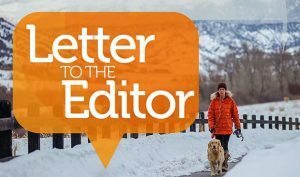 Anecdotally, as a hunter, I have personally witnessed the degradation of the deer, elk and grouse populations as subdivisions in Singletree, Wildridge and Cordillera Valley Club have come into play and grown, bringing with them increased numbers of people along with bikes and multi-use vehicles. And, while deer may “tolerate” this encroachment to a degree, the impact upon movement and migration is undeniable. Elk, on the other hand, are intolerant of human activity and have already begun to disappear from the lower reaches of Red and White Mountain. Along with this, increasing human population and their use of adjacent Forest Service lands (as well as the disappearance of trapping and the proliferation of predators) has most certainly affected the blue (dusky) grouse population. It also has been my experience that wherever high-end private development goes, a sense of exclusivity and entitlement goes with it, eventually leading to the exclusion of the public and the compromise of their rights to access and gain “best use” of public lands. As the Forest Service’s decision must be based upon scientific and empirical data, market forces and today’s economy must surely come into play in the decision, as another development gone wild, then gone bust, is a very real possibility; one that would leave the area forever scarred with blacktop in a place where it just does not belong! 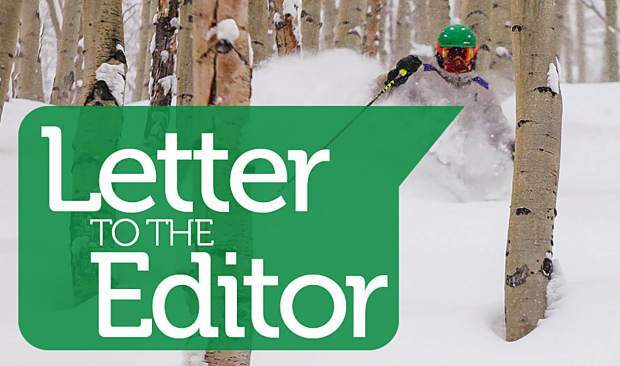 If people want to live in the midst of beauty, let them pay the price of a dusty drive to get there in the summer and an invigorating snowmobile ride in the winter, just as most other private property owners with mountain inholdings must do. When it comes to private use of our public lands, people should bend to meet the needs of the land, not the other way around — especially when it is solely profit driven. It is for these reasons that I strongly urge you recommend Alternative 1 (No Action Alternative) for NFSR 774 and NFSR 780.